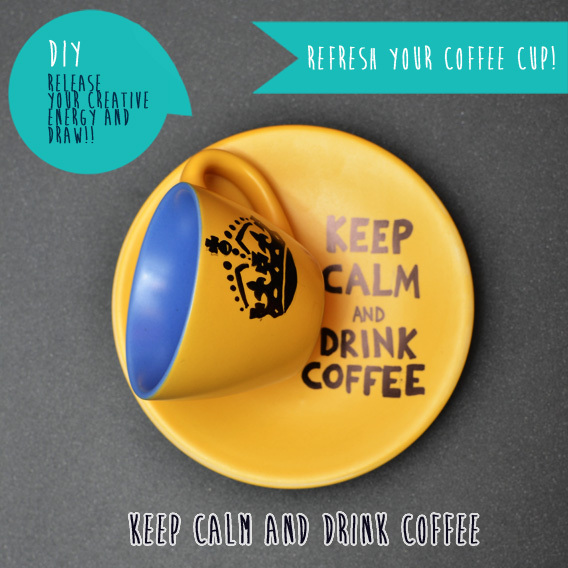 My Daytime Dreams: DIY - Refresh your coffee cup! I'm very busy at this moment because I'm studying for the last step of my neverending state exam!! I hope that all this hard-study will give me back some satisfactions! 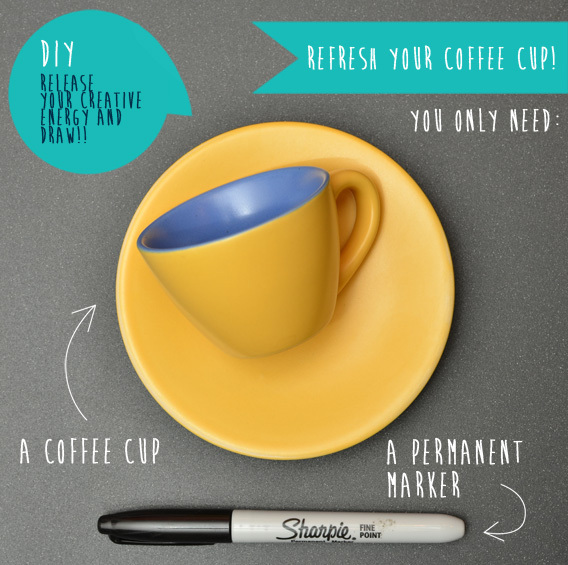 Anyways, I've found the time to share this little project, the "motto" this time is: "Refresh your coffee cup!" 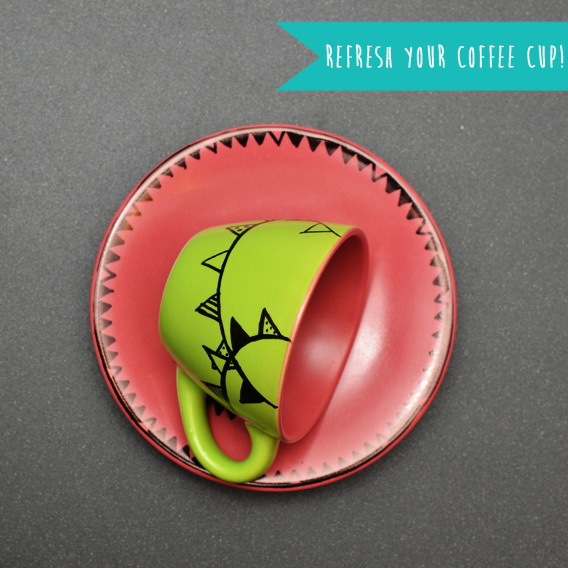 In Italy we really love coffee, the coffee time is a sort of custom in our tradition. 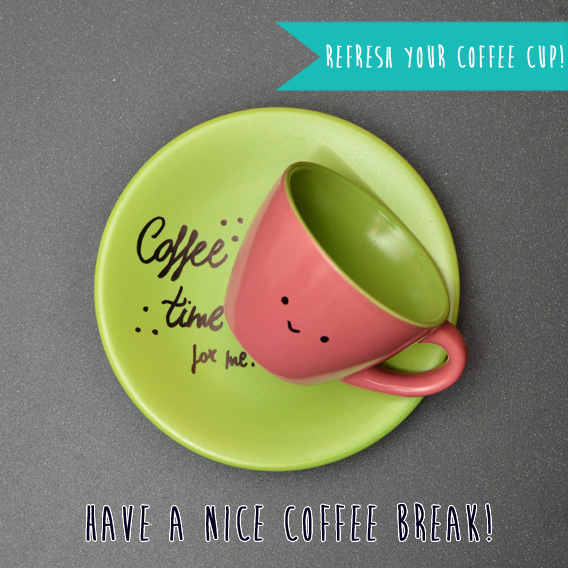 I also always drink coffee in the morning to take the necessary energy for the day! 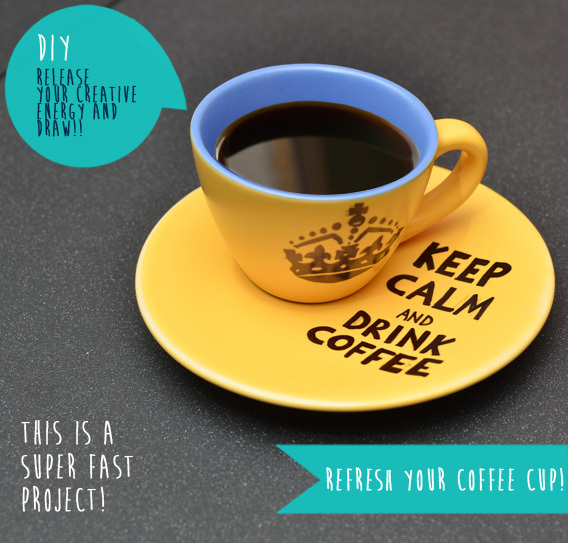 This is a superfast project to give a very special look to your coffee break! Now... let's begin! You can draw anything, an abstract or conceptual drawing, your favorite quote or a message to someone! Good luck with your work! !